Welcome to the Fit Small Business Xero training course! In this lesson, we’re going to cover how to invoice a customer in Xero. Why is it Important to Invoice Customers? One of the most challenging aspects of running a business is the ability to keep track of your income and expenses. A key advantage to Xero is the ability to create professional invoices. In addition to getting paid faster, this makes it much easier to see who’s paid you and who has not. Customers can pay via credit card or ACH directly on the invoice. It provides your customer with the details of the products and/or services they have purchased on a professionally-formatted document. In the How to Setup Invoices lesson, we showed you how to customize your invoices by selecting a branding theme (template) and adding your company logo. You are able to assign the account that you want to track the income when you create the invoice so that Xero can perform the accounting for you in the background. Your accounts receivable balance is always up-to-date. Below is a sample invoice created for a fictitious company, Acme Web Pros Plus. Invoice created in Xero. If you connect a payment service your customers will see a Pay Now button that they can click on to pay online. Follow the steps below to create an invoice in Xero. 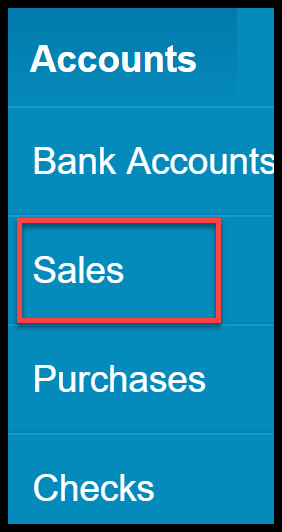 Step 1 – From the Accounts menu, select Sales as indicated below. Step 2 – Click the drop-down arrow and select Invoice as indicated below. Step 3 – The fields that need to be completed are indicated in the screenshot below, along with a brief explanation. Information required to create an invoice in Xero. To: From the dropdown, select the customer you would like to bill. If the customer does not exist, Xero will add the new customer to your contacts list. Date: Select the appropriate invoice date. 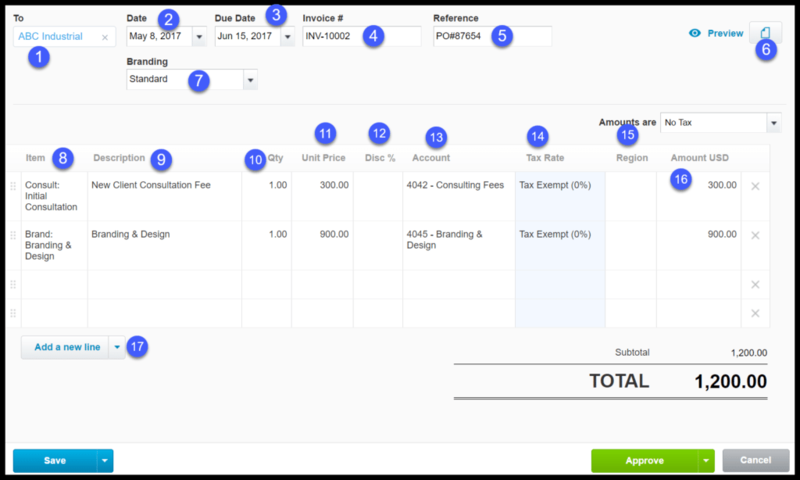 Due Date: The due date will automatically populate based on the default due date set up in the How to Setup Invoices lesson. However, if you need to change the due date, you can do so directly in this field. Invoice #: This field will automatically populate with the next available invoice number in order to avoid duplicate numbers. To learn more about how to customize the starting invoice number, view our lesson on How to Setup Invoices. Reference: If applicable, you can enter additional info about the sale such as a purchase order number. Attach file: If you have a signed contract, pictures or other documents that you would like to attach to this invoice you can attach them here and make them available for internal purposes only, for the customer to view or both. Branding: This field will automatically populate with the branding theme (template) that was selected during invoice set up. If you would like to use a different branding theme, just select the appropriate one from the drop-down. Item: If you are billing for an item that you frequently use, select it from the dropdown and Xero will automatically populate the remaining fields. If the product/service has not been set up as an item, you can type it in this field and Xero will add it to the list of items. Description: You can leave this description that automatically populated based on your item selection or you can customize the description directly on the invoice. Qty: If applicable, you can enter the appropriate quantity for products sold. Unit Price: This field will automatically populate based on the item that was selected; however if the pricing differs from the default, you can adjust it here. Disc %: If you set the customer up to automatically receive a discount, this field will automatically populate for you; if not you can enter a discount rate in this field up to 2 decimal places, without the percent sign. Account: This field will automatically populate based on the item that was selected; however, from the drop-down you can select a different account if needed. To learn more about how to add, modify and delete accounts check out our How to Set up a Chart of Accounts lesson. Tax Rate: This field will automatically populate based on the item that was selected; however, you can select a different tax rate from the dropdown if you need to. Check out the sales tax rates lesson to learn more. Tracking category (i.e. Region): In the invoice set up lesson, we discussed how to track other areas of your business like location, department, and region. Amount: Xero will automatically calculate the amount by multiplying the quantity by the unit price field. Note: If you need to bill a customer in their native currency, you can do so. 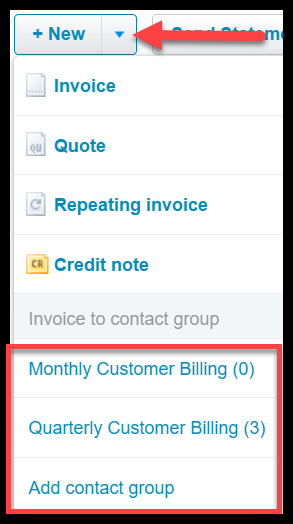 Be sure to turn on the multi-currency feature to have this option show up when creating customer invoices. Add a new line: If needed, you can add additional lines to the invoice by clicking add a new line. Step 4 – Once you have completed all of the fields, you can click the “Save” or “Approve” button. Below is a screenshot along with the various save options you can choose from. Save as draft – This option will save your invoice and allow you to close out of this screen. 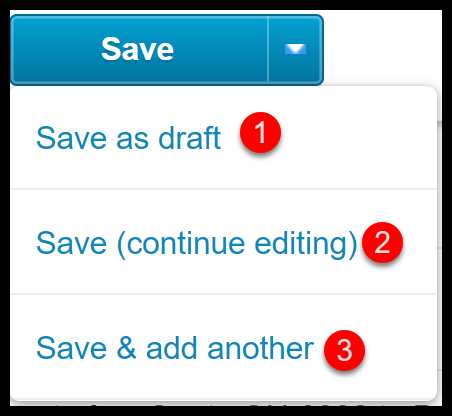 Save (continue editing) – This option will allow you to save your invoice before you are done with the invoice. You can save periodically so that you don’t lose any information. Save & add another – This option will save your invoice as a draft and open up a new blank invoice for you to complete. Step 5 – Below is a screenshot along with the various approve options you can choose from. Approve – This option will save your invoice and you can send it via email to your customer. Approve & add another – This option will save your invoice as approved and it will open a new invoice screen for you to create another invoice. 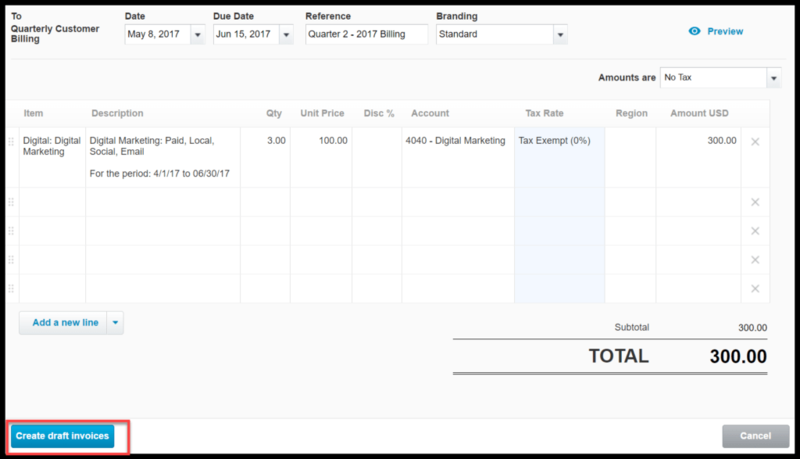 This feature allows you to create invoices much faster because you don’t have to close out of the screen to create the next one. 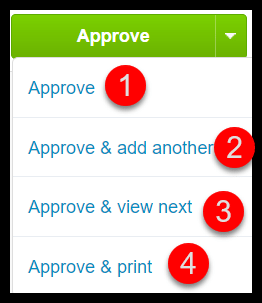 Approve & view next – This option allows you to approve the invoice and then view any invoice(s) that may be awaiting your approval. In the How to Invite Users to Xero, we discuss how to give users permission to approve invoices. Approve & print – This option will approve the invoice and allow you to print the invoice. Step 6 – After approving your invoice, you can email it to your customer. From the Invoice dashboard, click the “Email” button as indicated below. Step 7 – The following should display on your screen. Below you will find a brief description of what info to include in each section. To: Include the email address of the person(s) who should receive the invoice. As indicated, you can include more than one person just be sure to put either a comma (,) or a semicolon (;) between each email address. Subject: Xero will automatically create a subject that includes the invoice number and your company name; however, you make changes as you see fit. Message: This is the standard messaging that your customer will receive along with the invoice. This section is customizable so feel free to personalize it. Include files as attachments – If you have attached files to this invoice and you would like to share those files with your customer, put a checkmark in this box; otherwise leave it blank if the file attachments are for internal use only. 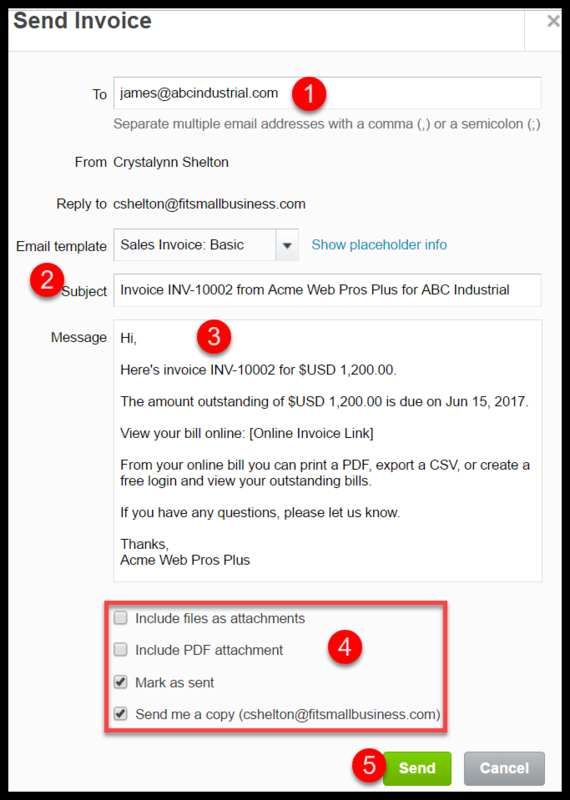 Include PDF attachment – If you would like to attach a PDF version of the invoice so that your customer can download and save it to their computer, put a checkmark in this box. Mark as sent – By selecting this option, Xero will mark this invoice as sent to your customer. This will help you to keep track of the status of the invoice. Send me a copy – By selecting this option, you will receive a copy of the email that will be sent to your customer. Send: Once you have made all of your changes, click this button to send the invoice to your customer. Note: One of the features that makes Xero stand out from its competitors is Xero to Xero. If you have a customer or supplier who also uses Xero, you can easily send and receive invoices without emailing them. Here are step by step instructions on how to send an invoice to another Xero user. Step 1 – Return back to Invoices by selecting Accounts and then Sales as indicated below. Step 2 – You should see an invoice dashboard similar to the one below. A brief description of the information you see here is below. An invoice will fall into one of four groups; draft, awaiting approval, awaiting payment or overdue. Draft – These are invoices that you have created but you have not approved them or submitted them for approval. Note: Invoice in this group have no impact on your financial statements. Awaiting Approval – These are invoices that have been submitted for approval, but they have not been approved yet. Note: Invoices in this group do not affect the financial statements. Awaiting Payment – The invoices in this group have been sent to customers but have not been paid yet. Note: Invoices in this group do affect the financial statements. Overdue – These are invoices that have been sent to customers and they have not been paid as of their due dates which make them overdue/past due. In the How to Create An Accounts Receivable Aging Report, I will share some tips with you on how to stay on top of your accounts receivable balances. Money coming in – You can click on the bar to see the customer and dollar amounts for each section of the bar graph. You can also click a bar on the graph and it will display the invoices that make up the amount coming in. Customers owing the most – This list can come in handy to help you follow-up with customers who have past due balances. Notice the first three customers listed have a balance in red to the far right. In this example, those three customers make up the overdue balance of $11,270 shown above. You can click on each amount to see the details of each overdue invoice. You could also send a friendly reminder to the customer (if you have not done so already). We will discuss how to set up automatic reminders shortly. Step 3 – Click on the group that your invoice falls into and the following screen will display as indicated in the screenshot below. Click anywhere in the row for the invoice you want to select and it will display on your screen. Step 4 – Your invoice should display on the screen. Select the “Invoice Options” button as indicated in the screenshot below. There are eight modifications available in this screen. Below is a brief description of what each one does and when you might use it. Online Payments – Select this option to add a payment service to your invoices which will allow customers to make online payments. To learn how to set up a payment service, check out our How to Customize Invoices lesson. Repeat – Xero allows you to create recurring transactions like invoices and bills. For example, if you have a customer that you bill $100 on a monthly basis, you can set up the invoice as a repeating invoice in Xero so that it will automatically be created for you and emailed to the customer! You can find more info on recurring transactions here. Void – If for some reason you want to get rid of an invoice that was previously created, you can generally delete it as long as it is in draft or awaiting approval; however if the invoice is awaiting payment or has already been paid then you will need to void it. Note: You will need to remove payments and credits applied before you can void the invoice. Copy to – You can create a brand new invoice, quote, purchase order or bill from an existing invoice. Just click the “copy to” button, select the form you would like to create and enter the customer/supplier contacts name. Edit – Select the “edit” button to make changes to quantity, description or any other info and then save your changes. Add Credit Note – If the customer has an outstanding credit note that you would like to apply to an invoice, click this button and select the appropriate credit note to apply. Share Invoice – You can share a link to an invoice that is either awaiting payment or in a paid status. Click this button to see a URL that you can copy and paste into an email to send to your customer. Turn Invoice reminders off – Xero makes it super easy to manage your accounts receivable with the automatic invoice reminder feature. In the how to How to Set up Invoices lesson, we show you how to turn on payment reminders to your customers so that they receive a notification a few days before an invoice is due and/or after the due date. 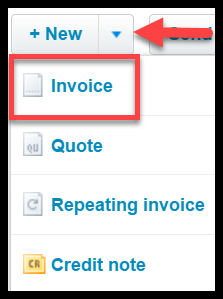 This feature shown above allows you to turn off automatic reminders for an invoice if needed. How Do I Invoice a Customer Contact Group? Xero allows you to group your customer contacts that have something in common. For example, you might group customers you send the same invoice to. Acme Web Pros Plus would like to create an invoice for a group of customers who are billed 300.00 each quarter for digital marketing services. Follow these steps to invoice a customer contact group. Step 1 – Select Accounts and Sales as indicated below. Step 2 – Click on the New button and select the contact group you would like to invoice as indicated below. 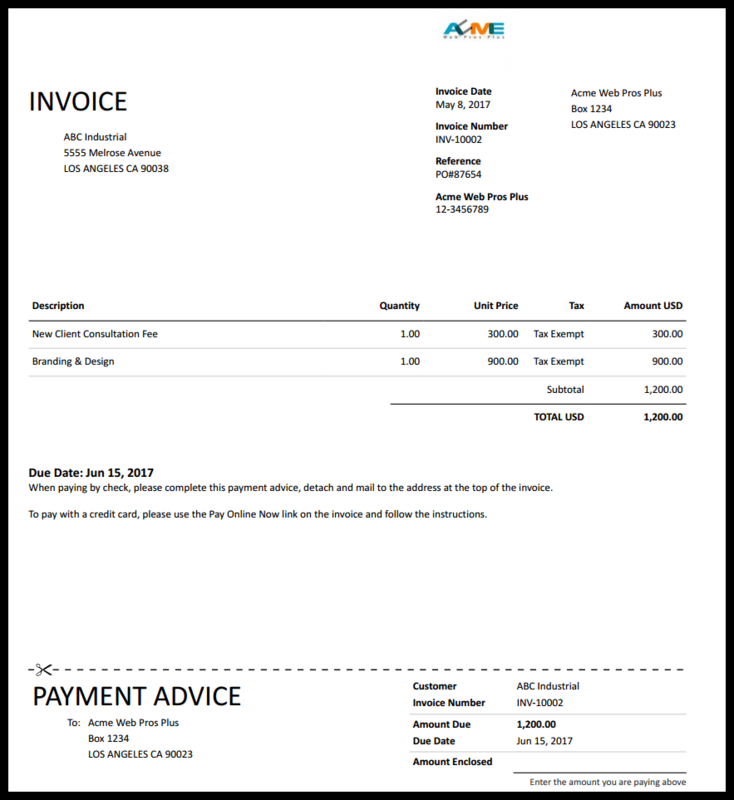 Step 3 – The Invoice template should display. Complete all of the necessary fields and then click the “Create draft invoices” button as indicated below. Step 4 – In this example, 3 invoices were created as indicated in the screenshot below. At this point, you can approve the invoices and email them to your customers. That wraps up the section on how to invoice a customer. The next lesson in our Xero Training Course will be how to create a credit note. In this lesson, we will walk you through how to issue a credit to a customer for an overpayment or damaged products. To access this lesson or any of the others in the series, click here. For a free 30-day trial of Xero, click the link below. Thank you very much for your explanations, they are great! I am just trying to change my address on Xero because I have just moved on to a new place but I can not find the right place to do it?